The PADI Discover Scuba Course is A quick and easy introduction into what it takes to explore the underwater world. Although this is not a scuba certification course, you'll learn all the steps it takes to be a PADI certified diver. Have you always wondered what it’s like to breathe underwater? If you want to try scuba diving, but aren’t quite ready to take the plunge into a certification course, Discover Scuba Diving is for you. While not a scuba certification course, Discover Scuba Diving is a quick and easy introduction to what it takes to explore the underwater world. To sign up for a PADI Discover Scuba Diving experience, you must be at least 10 years old. No prior experience with scuba diving is necessary, but you need to be in reasonable physical health. Are you ready to try it out? With a PADI Discover Scuba® Diving Experience, you can try scuba diving at our onsite private heated pool or set up a discover scuba pool party at your local indoor pool. We provide discover scuba classes year round. 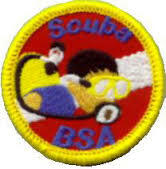 We specialize in providing Discover Scuba Diving programs for youth groups, middle schools and Scouting groups. 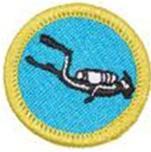 Boy Scouts Of America participants can earn a Scuba Diving Patch when they complete a Discover Scuba Diving Course and the Scuba Diving Merit Badge when completing our PADI Open Water Certification. Our instructors are Eagle Scouts! 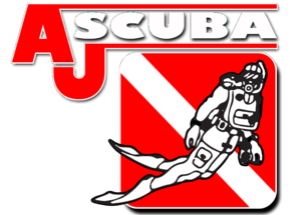 We will provide all the basic scuba gear you’ll use including a mask, snorkel, fins, regulator, buoyancy control device, dive gauges and a tank. Just bring a swimsuit, a towel and recommend a t-shirt or other top to add some additional warmth as you will bein the pool for several hours. PRICES VARY DUE TO POOL LOCATIONS AND WHICH EXPERIENCE PROGRAM YOU WOULD LIKE. CALL FOR PRICING.